We have emerged as one of the reliable manufacturers, suppliers and exporters of premium quality Electric Motors. These motors are cost effective and requires low maintenance. Our expertise professionals procure quality-approved raw material form reliable sources and fabricate these motors at our technologically advanced infrastructure. Products manufactured under our name are highly demanded for the quality and reliability that our valued patrons gains from us. We strictly make these motors pass through several quality checking processes to ensure high quality product at customer's end. 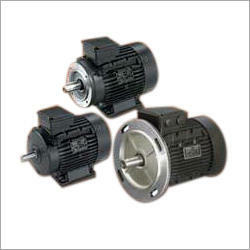 These motors can also be customized as per the needs and requirements of our esteemed customers. We also provide door-step delivery within stipulated time. Our organization is in league with leading manufacturers of industries, offering patrons an exclusive array of Havells Electric Motors. These motors are widely used in many industries worldwide and thus are highly demanded. We manufacture these qualitative motors at very large scale to meet the high demands. These motors are fabricated under the guidance of our skilled professionals who make use of modern tools and advanced technology to make these highly efficient motors. Looking for Electric Motors ?